Athena has always been, well, above average. She’s never quite fit in at Triton Junior High – weird things always seem to happen to her, and she hasn’t managed to make many friends. 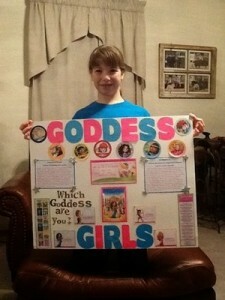 But who would’ve guessed that Athena is actually a goddess! 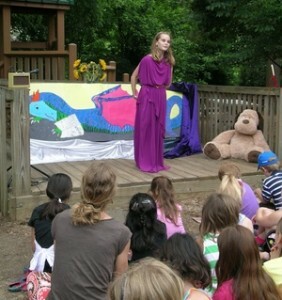 Principal Zeus’s daughter, to be exact. 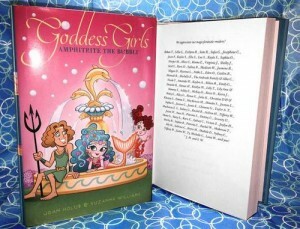 When she’s summoned to the Mount Olympus Academy, amongst all the unusual goddessgirls and godboys, Athena thinks she might actually fit in for the first time in her life. 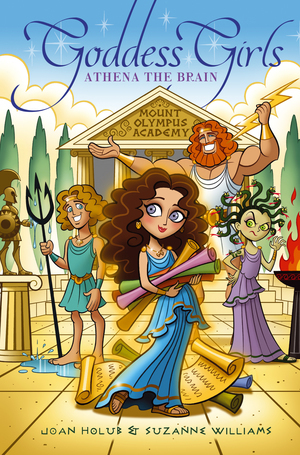 But, in some ways, school on Mount Olympus is not that different than it is down on Earth, and Athena is going to have to deal with the baddest mean girl in history—Medusa!